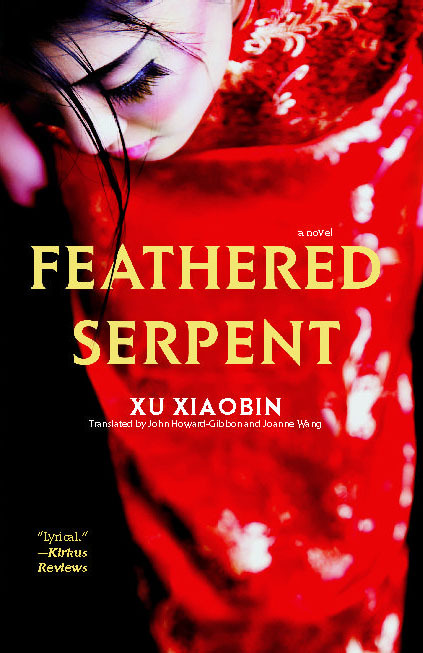 In this epic family history, Xiaobin portrays women across five generations with Yu (feather) as the central character whose life story is weaved through the lives of her grandmother, mother, sisters and niece. Beginning in the 1950s, Yu loves her parents but at a tender age she realizes that they do not love her in return. After committing two unforgivable sins, Yu is sent away to live with a woman named Jinwu but is soon abandoned by her as well. Through heavy manual labor Yu hopes to redeem herself and gain forgiveness from her mother. Yu finally returns to her family and finds work at a factory. Now in the 1980s, Yu becomes caught up in the political storm but still suffers and longs for love. Yu’s life is a quest for love, fragile but resilient, lonely but determined. Like George Orwell’s Animal Farm and Nineteen Eighty-Four, Feathered Serpent satirizes and criticizes the totalitarian regime of Chinese communism. To avoid and survive China’s fierce government censorship, Xu Xiaobin masterfully created a mystic and mysterious atmosphere where the distinction between past and present is blurred; memories of the previous and present lives are intertwined; realities and illusions are fused without a clear trace; and events occur in unspecified places, tinted with fairy-like imaginations.